Does your dog sleep curled up? Twitch a lot? Take naps all day? 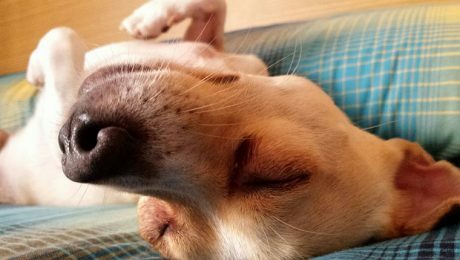 The way your dog sleeps and their sleeping habits can say a lot about what they're feeling. 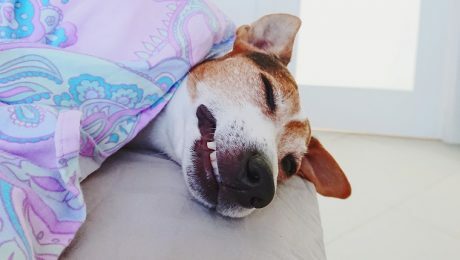 Sleeping habits can give clues about a dog's health and happiness that you can interpret if you know what to look for. Do Dogs Give Women A Better Night’s Sleep Than Human Partners? A new study shows that women may feel more secure and at ease when their dogs sleep with them in the same bed. They reported better sleep quality than women who shared their beds with human partners. 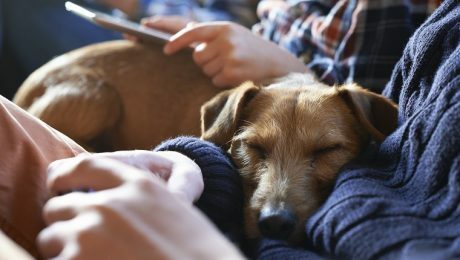 A Harvard Psychologist said dogs are likely dreaming about their owners, and the internet reacted to the heartwarming news with happy tears.